It's been three months since we announced that we were going to start working with the Design Studio at Greenstart. We went back to basics with the designers, examining every assumption about what Carrotmob is, what it could be and what it should be. 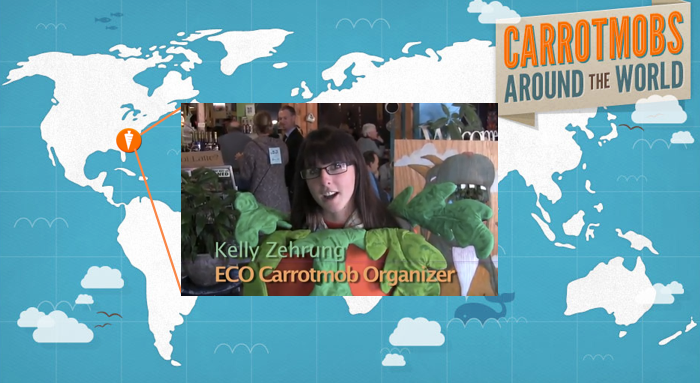 We’ve explored what Carrotmobbers around the globe want, what we want, what businesses want, what advocacy groups want, and how we can bring this all together to create a beautiful experience for everyone who participates. After months of work, researching and debating ideas, we have evolved our plans and developed a brand new model! Our values remain unchanged. We’re still on a mission to harness our consumer power for good. We’re still aggregating everyday spending to make an impact. We're still rewarding small businesses with our support. And yet, there are some things which are different. Things I used to think were important, that I no longer think are. Things I used to avoid that I now embrace. Things I used to believe would always be a part of our plans that I now believe introduce too many obstacles. So what will you think of our new approach? You’ll like it. A big part of the design process is talking to people, and we’ve talked to many of you along the way. This new approach was designed with you in mind. My suspicion is that those of you who like participating in Carrotmob campaigns will find that you get the same awesome feeling you’ve always gotten from Carrotmobbing, and you will now enjoy that feeling with much more ease and frequency. On the other hand, if you are an organizer, it will feel totally different. How do I know? Because our whole team is Carrotmob organizers, and it feels radically different to us. In fact, the new model feels SO different that as our plans settled into place we began to feel like calling it “Carrotmob” would be kind of weird. We all already know what Carrotmob means, and what we’re building isn’t quite the same thing. So we’ve decided to launch this with a new name. Crazy, right?!? Yes, it is. Don’t worry, we’re not going to do away with the Carrotmob that we all know and love. We’re just putting our resources towards this new and improved model instead. I know what you’re thinking: What could possibly be better than the classic Carrotmob model? Well there’s always room for improvement, and there have always been many areas where Carrotmob could have improved as well. To explore these, we looked at the entire process that a Carrotmobber goes through. We drew a storyboard of every part of the typical user experience. Then we did the same thing for organizers, for businesses, and for ourselves here at HQ. We put all of these storyboards on the wall and stared at them for a while. Then we took a bunch of post-its and wrote down the points of friction. The obstacles. The problems that everyone encounters throughout the process. Soon our wall was covered with post-it notes. 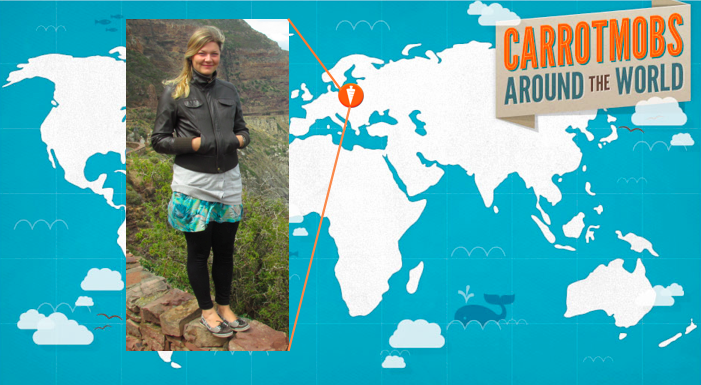 There’s a reason that launching a Carrotmob campaign can take 2 or 3 months. It’s hard for organizers. It’s hard for business owners. Even if all you want to do is buy something as part of a campaign, it can be a hassle. If it’s hard, that means less people will do it. Which means less impact. What we came up with is a way to make it easy. Extremely easy. For everyone. Which means more people will do it. Which means greater impact! Are you curious to see what we have come up with? It’s coming soon. If you live near San Francisco, contact us to become an early beta tester to get the first look.